Welcome and thank you for visiting Red Door Real Estate - THE online source for anything related to Indianapolis real estate. Whether you are considering purchasing a property, thinking about selling your home, or just want to browse Indianapolis homes for sale, you will be able to quickly and efficiently find the information you are looking for on our website. Please feel free to call us at 317-RED-DOOR. If you are looking for a real estate agent with an aggressive marketing plan to sell your home, you have come to right place. We market your home like no other Realtor does. The days of putting a sign in the yard, sticking the listing in the MLS, and waiting for a buyer are over! We understand that more than 80% of buyers are looking online and leverage the power of our websites to help sell your home. We also incorporate traditional marketing to sell your home, we just do it better and smarter than most other agents. Contact us now to learn how our innovative marketing plan can get your home sold! If you would like to add more search criteria you can access our advanced search or map search to search by zip code, subdivision, school district, or MLS #. Using our advanced search feature, you can also specify criteria such as age of home, community amenities, construction, homesite features, and much more. Like it or not, foreclosures have become a part of the real estate landscape both across the nation and here in Indianapolis. Many buyers look to foreclosures as a way to capitalize on the real estate downturn and find a great deal on their next home. 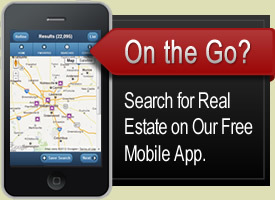 Red Door Real Estate makes searching for foreclosures extremely easy. You can either click on the link below to find foreclosures in the area you are interested in, or you can sign up for our free foreclosures list and receive daily emails of foreclosed properties. Average Selling Price / Sq. Ft.
Our site features not only Indianapolis real estate, but also Indy's most popular communities such as Carmel, Zionsville, Fishers, Westfield, and Noblesville. You can take a look at our "Local Area Index" at the top of the page to see both surrounding areas and their most popular communities or the "Featured Communities" to the right to see some of the area's best selling neighborhoods. Please visit our Indianapolis property management website.